Depois do primeiro post sobre algumas tendências desta estação (podem ver aqui), hoje mostro-vos mais algumas. Tudo coisas que estou a adorar e mal posso esperar por usar! Espero que gostem destas inspirações! After the first post with some fall trends for this season (you can see it here), today I show you some more. They are all trends that I'm loving already and I can't wait to wear! I hope you like these inspirations! Casacos, vestidos, malhas, se não tiverem um cinto coloquem-no! Favorece a cintura, e em alguns casos, quando não a temos, dá a ilusão que nascemos com ela. Das minhas tendências favoritas, porque dá aquele ar mais composto, que tivemos em atenção para estarmos bem arranjadas antes de sair de casa. Uma camisa, um cardigan e um cinto e estamos prontas! Coats, dresses and knits put a belt on it! It's really flattering to the waist and in some cases, when we don't have one, it gives the ilusion that we were born with it. It's one of my favourite trends, because it makes you look really put together and like you put in some effort to look good. One shirt, one cardigan a belt and we're ready! Já vos tinha dito que adoro plissados não já? Pois ainda bem, porque estão tão em altas esta estação! Dá um ar super feminino e sofisticado, conjuga bem com saltos altos, sabrinas e ténis! As lojas têm imensas opções, principalmente saias, mas aquelas calças da Miss Guided são maravilhosas! Uma camisola de malha de manga comprida e um grande casaco cinzento ou branco fica lindo e acho que vou ter de ir ao site encomendá-las já já! I already told you that I love pleated stuff didn't I? So, it's a good thing that they're so on trend this season! It gives such a classy feminine look and it looks awesome with high heels, flats or even sneackers! The stores have a lot of options, mainly skirts, but those trousers from Miss Guided are gorgeous! Those trousers with a knit sweater and a big grey or white coat would look amazing and now I think I'll have to order them! Coletes! Curtos ou compridos são uns dos must have desta estação! Os coletes curtos ficam lindos com uma camisa de laço como também se vê muito nesta estação. Mais uma vez, esta vai ser uma das tendências que vou querer usar e abusar! E vocês? Vests! Short ones or long ones are one of the must haves for this season! The short vests look amazing with a lace shirt underneath! Once again, I will wear this trend a lot of times, and you? A pele (ou imitação) não é só deste ano. É um clássico que fica sempre sempre bem! Em casacos, em calças até em tops, dá um ar mais rock e se misturarem com renda ou pelo ficam com um look super edgy como eu gosto tanto! Faux leather isn't something just of this year. It's a classic that will always look good. In coats, in trousers or even in tops, it gives such a rocky look and if you mix it with lace or fur it'll look amazing, super edgy as I love! Adoro estas tendências - todas! Algo que ja gosto há muito tempo! Estou a adorar estes posts. :) Ainda por cima quase tudo tendências que adoro! 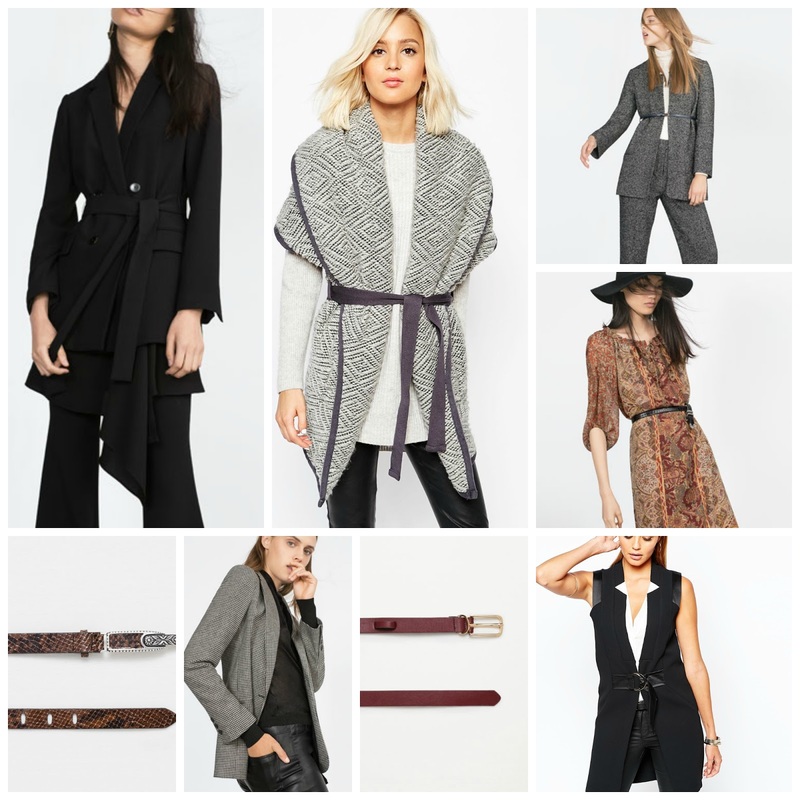 I am LOVING the vest and belt trends! Faux leather is timeless but it's been getting so much love lately. Wonderful compilation, Adriana! tudo isso bem que podia ir para o meu roupeiro que eu não me importava nada! 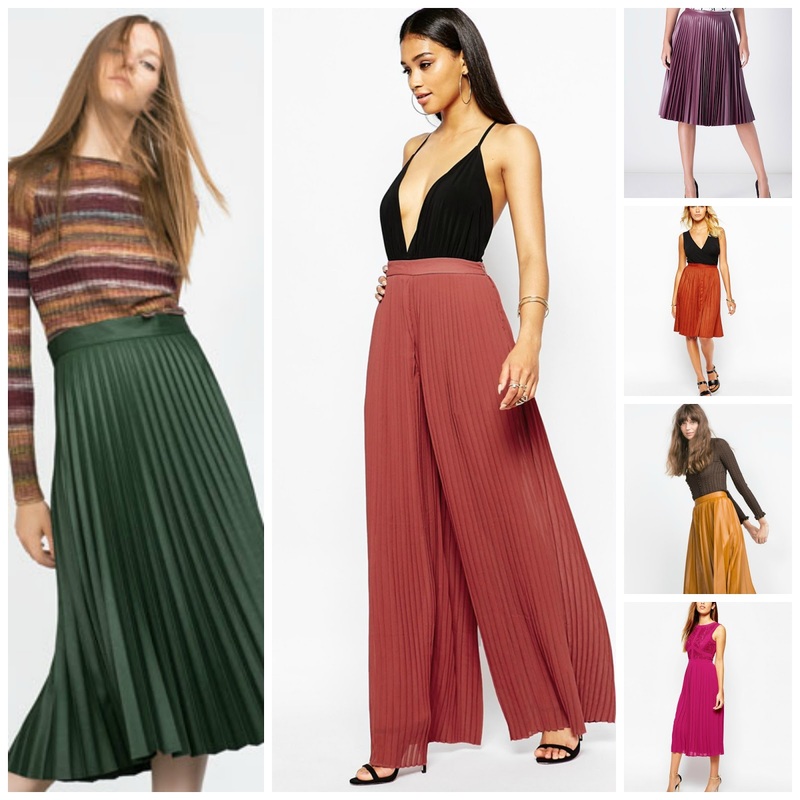 Adoro plissados, principalmente em midi skirts! Que bela tendência! ah fall clothing is my favorite!!! cute post! Amazing trends! Thanks for sharing! Loving all of these trends! 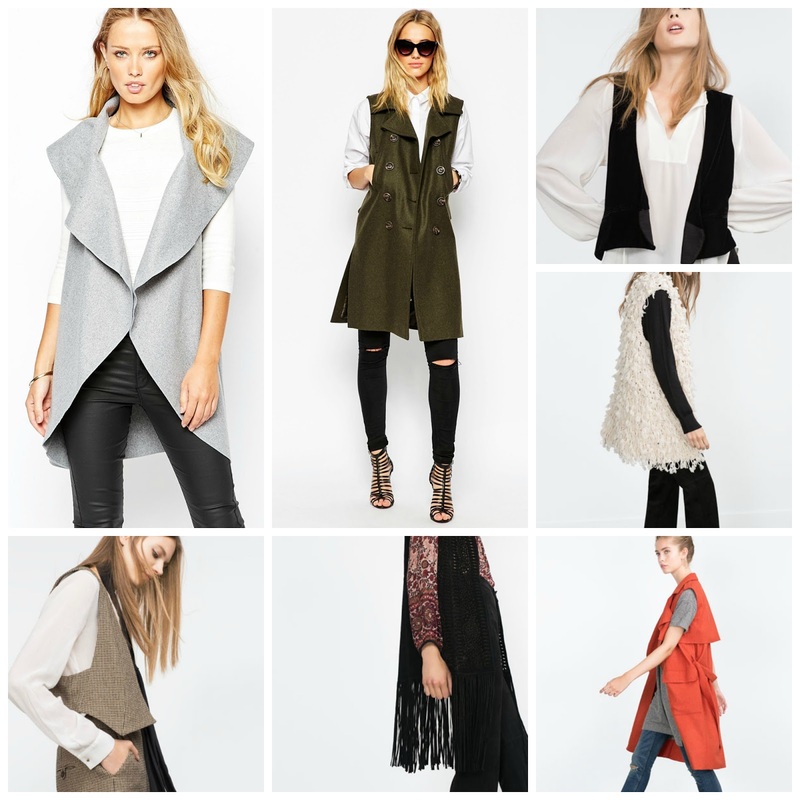 I need all of those vests! I just bought a pleated maroon midi from Zara, and I love it. I'm also excited about the longline vests. adoro coletes. tenho sempre imensos no armário e nunca os uso. Great trends, I love them all!!! Wow. I love everything. Nice selection sweetie ! I love the belt trend! I hadn't been wearing belt too much but this makes me want to try them out again!